I've had a terrible time finding good mysteries lately, to the point where I feel happy if I find a book I think is even just OK. But I finally read a couple in the past month that I felt a lot more than OK about. 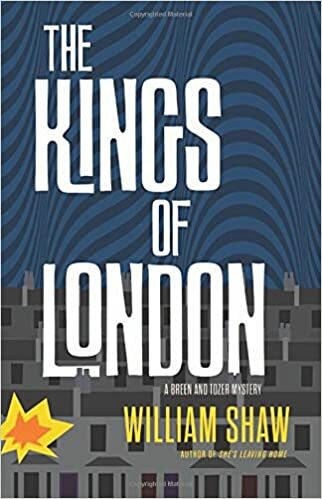 William Shaw's The Kings of London (Mulholland Books, January 27, 2015) is the second in his police procedural series set in 1960s London. But this is only a little bit the Swinging London of the Beatles, Stones, long hair, granny glasses and Mary Quant minidresses. 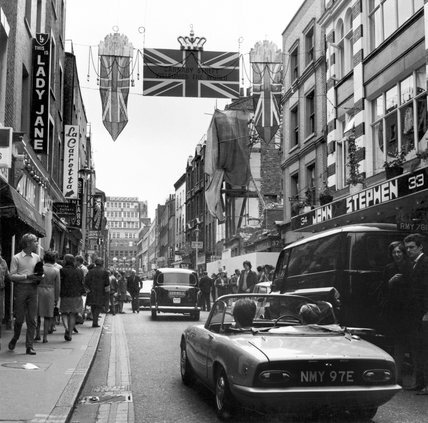 Mostly, it's the just-barely-out-of-postwar rationing, lousy food, racist and sexist London. Cathal Breen is a Detective Sergeant with the Metropolitan Police, and the son of an Irish workingman. Breen looks and speaks like any other Londoner but, inevitably, the rest of the members of the force call him Paddy, and he will never be fully accepted as one of them. Another misfit is his sometime partner, WPC Helen Tozer. Tozer, one of the few women on the force who does anything other than traffic patrol and serving as a family liaison, has it even worse than Breen when it comes to taking guff from the other police officers––and firefighters and anybody on the street. As The Kings of London begins, Breen's in a bit of a funk. His father, who had dementia for a long time and whom Breen had taken care of, has now died and this casts a pall over the upcoming Christmas season. He's even more glum knowing that Tozer is soon to leave the force to go back to run her family's farm after her father has become too ill to manage. As if this isn't enough, Breen is getting death threats at work and he has a new neighbor from hell up above his basement flat. It's almost a welcome relief to Breen when he catches the gruesome case of a man's body found in a burned building with his skin and hands removed and the carcass drained of blood. Though this looks like a case of torture, Breen soon figures out what really happened. Now it's just a question of why and whodunnit. Those are tougher questions than usual, given the resistance Breen and Tozer receive from the victim's family and higher-ups in the Met. If you've been looking for a good police procedural, check this one out, especially if the idea of a novel set in London in the 1960s appeals to you. I'll be looking forward to the third book in the Breen and Tozer series, A Book of Scars, which came out in the UK in June. When I first started reading mysteries back in the 1970s, one of the first series I read was Peter Lovesey's Cribb and Thackeray books, about two police detectives in Victorian London. I've never been much of a fan for the Victorian period, but Lovesey knows how to write a cracking good story with plenty of wit and puzzle-solving interest. Here it is, 45 years since his first crime novel, and Lovesey is still getting the job done. Since 1991, most of his books have been about Peter Diamond, a homicide Detective Inspector with the Bath, England police force. Usually, Diamond does his sleuthing with the able assistance of his team, the stalwart Keith Halliwell, plodding John Leaman and cheeky former crime journalist Ingeborg Smith––and the occasionally bedeviling by his boss, Georgina Dallymore. Dallymore couldn't detect her way out of a corner shop, but that doesn't prevent her from interfering. When she does, at least Diamond gets to go home to the comforts of his cat and his lady friend, Paloma. Down Among the Dead Men (Soho Crime, July 7, 2015) is the 15th in the series, and it's a change of pace. To Diamond's dismay, Dallymore insists that he go off with her to West Sussex to help with an internal investigation. What; no team, no home, no cat, no Paloma? Just lots and lots of Dallymore? Diamond is horrified, but he keeps his feelings to himself. Dallymore is frustratingly close-mouthed about the details of the case and Diamond doesn't find until they reach West Sussex that this is a complaint about a senior detective who succeeded in getting a conviction of a car thief for the murder of a man found in the trunk of a car he'd stolen, but then failed to pursue later evidence that her niece's fingerprints were found in the trunk. Diamond is gobsmacked to learn that the officer in question is an old acquaintance, Henrietta ("Hen") Mallin. Diamond knows Hen as a supremely competent detective who's rough around the edges and has a raucously humorous approach to life and work––kind of the female version of Diamond. Georgina and Hen promise to be oil and water, so Diamond gives Hen the high sign that they should pretend not to know each other. A second strand of the story involves a posh girls' school and the disappearance of their unpopular art teacher. 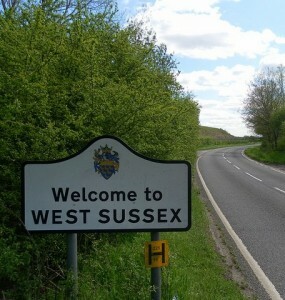 When the investigation of Hen's case leads Diamond to inquire into Hen's interest in a series of missing persons cases in West Sussex, the two strands begin to look as if they might be intertwined. I missed Diamond's working with his team, but his interplay with Dallymore was surprisingly satisfying. At times, Lovesey's depiction of Dallymore tends to the caricature-ish, but there are flashes of a real (though flawed) person in there and I had to admire the way Diamond cleverly plays on Dallymore's vanities to steer the investigation the way he wants. The solution of the mystery was a little abrupt and not quite satisfying, but it was still a very enjoyable read and definitely helped me feel my good-book drought wasn't dire just yet. I have missed your reviews and commentary as I have enjoyed your reviews as well as those from the other 'Material Witnesses'. Have you stopped the blog? I have read some of your reviews on Amazon using your reviewer name there. I hope your blog is going to continue--one of the first book review sites I look at daily. I have always especially enjoyed your WWII reviews and info. What a nice note! Thanks for your comment. We haven't stopped the blog. Each of us has had some misadventures this summer that got in the way of our writing, but we do plan to resume.